Capabilities | Tacoma Plumbing and Heating Inc.
Tacoma Plumbing’s delivery method starts with identifying a mechanical system’s critical components, and then we develop a strategy for coordinating a project’s mechanical, architectural and structural phases, and align them to fulfill the customer’s objectives. It involves review of design alternatives, engineering, constructability, materials, scheduling, and life cycle costs. This unified approach of design, planning, and installation leads to value engineering, increases efficiencies, and reduces costs. 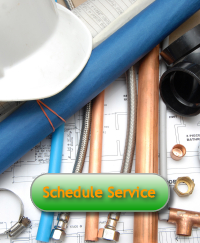 At Tacoma Plumbing, we coordinate with the customer and project team to make sure that all necessary issues are identified and requirements are met to develop a customized mechanical solution. With our extensive experience in a variety of delivery methods, including design-assist, design-build, and plan and specification, we are able to deal with any project issue. We keep our focus on customer relationships and communication so we can guarantee project objectives are met with fair price, excellent work performance, and in a prescribed timeframe. We combine over 45 years of construction expertise with a skilled team dedicated to deliver value for our customers. Tacoma Plumbing and Heating has an in-house design drafting and coordination department which utilizes Building Information Modeling (BIM), as a tool that helps our team apply the best of computer technology and field experience to each project we perform. It allows us to integrate the entire process from design through development, all the way to construction and commissioning. Our sophisticated 3D computer models allow the project team to view the finished project prior to the start of any construction, resolve construction challenges, and anticipate conflicts before they materialize in the field. Deploying BIM on each of our projects provides for a fully coordinated design process and leads to a more cost-effective project. Tacoma Plumbing and Heating is proud of our long history and successful involvement in many LEED certified projects including the first LEED Platinum certified project in the State of Washington for the Washington State Public Utility District Associates office located in Tumwater, WA. We bring a wealth of experience and creative thinking to all phases of mechanical design, construction, and operations, and have a commitment to sustainable practices to provide projects that are productive, efficient and healthy.